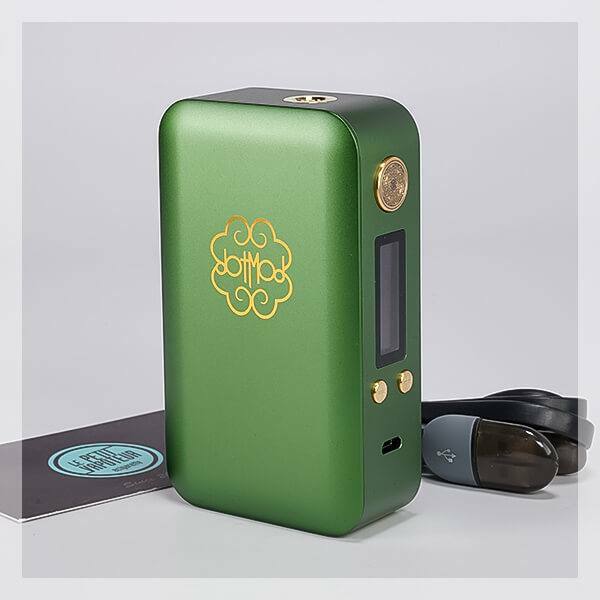 The new ornament by Dotmod: Dotbox 200W! 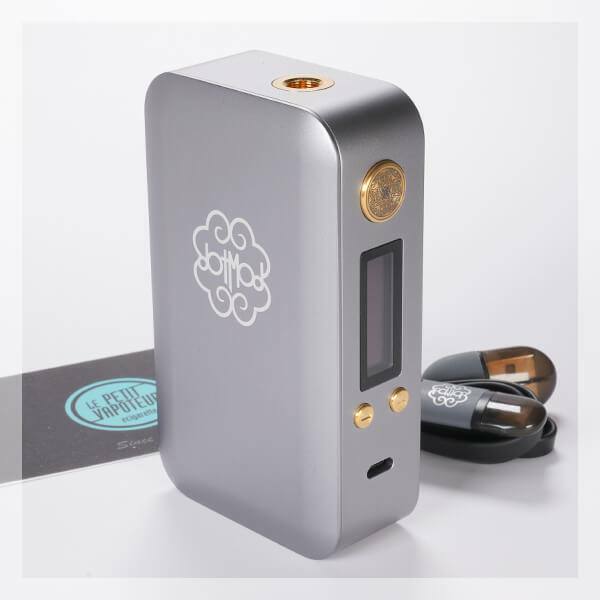 The Electronic Mod Dotbox 200W is a wonder in Anodised Aluminium with a clean and curvy figure. 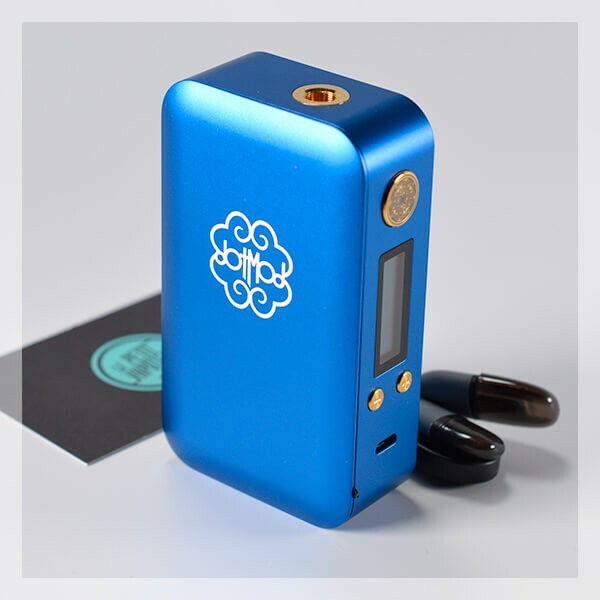 The Dotbox 200W Box by Dotmod functions with 2 x 18650 batteries (non-included) for an output power of 200 Watts. It has its own chipset, a curved mod and Gold Plated Switches. An exceptional box. The Dotbox 200W is made by Dotmod. The Dotbox 200W has an maximum output power of 200 Watts and functions with 2 x 18650 Batteries (non-included). 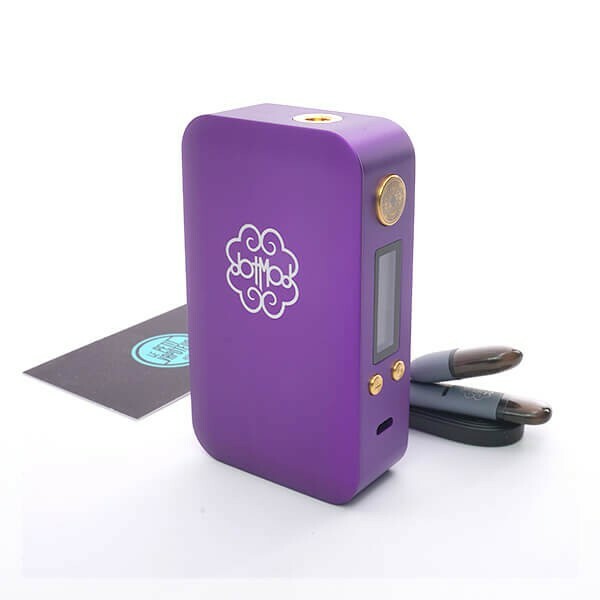 This is a new exceptional box which is proposed by Dotmod, with all the usual finishes by the American Modder. Anodised Aluminium, Switches, Gold Plated Switches, Own Chipset etc... All the know how Dotmod, you can find here this High-End Mod... Magnificent! One of the great quality fabrications, the Dotbox 200W has a particular touch, which has been cared for which we find with the Dotmod Mods, whether its Meca or Electros. The Anodised Aluminium done here, which is just as fabulous with different colours. 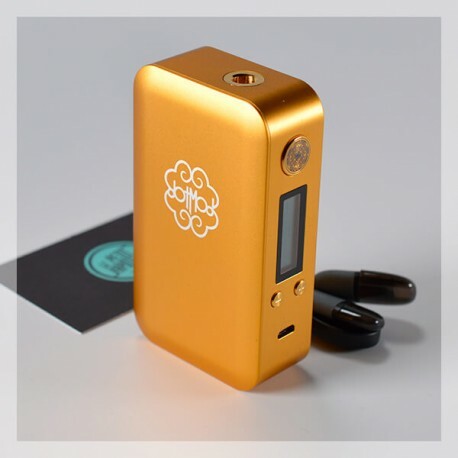 Of course, the Gold-Plated Switches are always present with the Home Engraving Dotmod. This new Dotbox 200W functions with 2 x 18650 batteries (non-included) protected by a magnetic hatch with the Dotmod Logo. 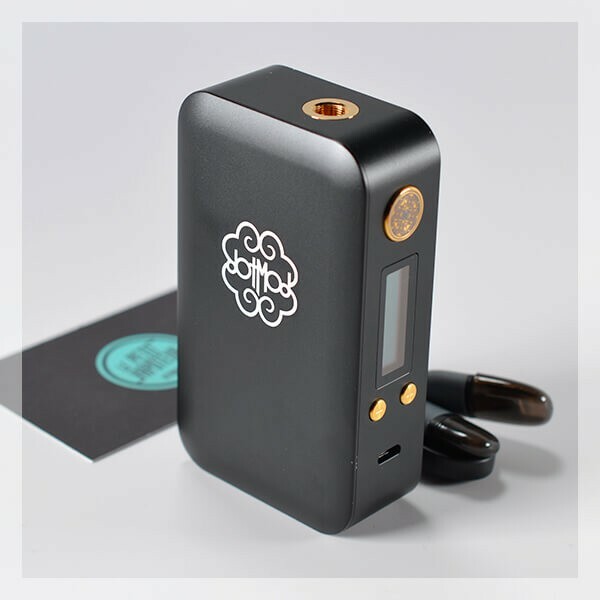 The Dotbox 200W Mod is also delivered with a Cable (Dotmod Logo) to recharge the box. The Dotbox 200W Mod is made by Dotmod. Une box au design magnifique et de puissance amplement suffisantes pour ma part Les aimants de ma box tiennes très bien pour ma part (ayant lu quelques commentaires négatifs à ce sujet) petite frayeur lors de la première mise des accus 18650 car il y a la place pour deux accu et pas un brin d’air de plus mais à force d’enlever et remettre les accus rentreront avec plus de facilité mais en restant très bien maintenue donc sécuritaire car il ne risqueront en aucun cas de se retirer tout seul. Petit bémol pour les non anglophones là notices n’est qu’en anglais mais il y a tout un tas de tutos ou forum qui vous rendront la tâche facile. Hésitations? Foncé elle vaut son prix car c’est une box très bien fini. Parfaite, après ma Minikin je pense que ça va devenir ma 2nd box favorites.